"Location, location, location! 800 N Michigan offers one of the best locations to enjoy true Chicago living. Residents get to enjoy the services and amenities of the Park Hyatt Hotel which is on the lower floors of the building." As an experienced luxury broker in the Gold Coast and surrounding neighborhoods, I can assist you with purchasing or renting in this development. Feel free to contact me for the latest availability, pricing, or to schedule a private tour. 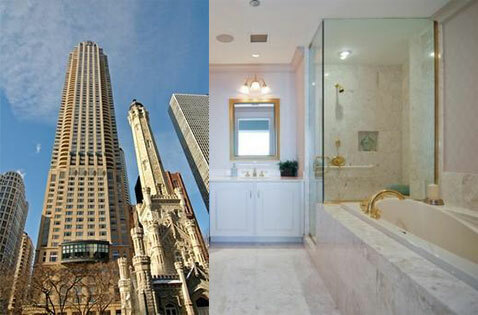 I can also assist you with exploring other luxury options - including access to off-market listings in some of Chicago's premier luxury buildings. Designed by Lucien Lagrange, the condos at 800 North Michigan are the epitomy of luxury in the heart of Chicago's Gold Coast. Sitting atop the Park Hyatt Hotel, residences enjoy all of the amenities and services of a world-class hotel in addition to a desirable location on Chicago's Magnificent Mile. Access to the Park Hyatt's fitness club and pool are available to residents of Park Tower. Additionally, room service is available from NoMI, Park Hyatt's famous restaurant. The building also has a 24 hour doorman, concierge and balconies available. Open floorplans feature panoramic views of the city skyline and Lake Michigan from huge windows. Units also feature first-class finishes such as hardwood flooring throughout, granite countertops and marble baths. Pets are welcome at 800 N Michigan and garage parking is available.